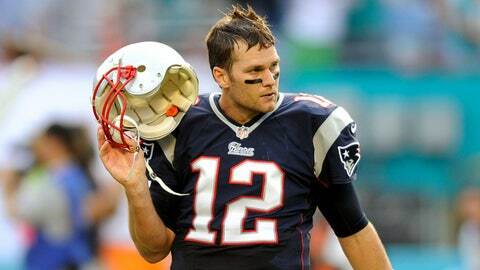 Tom Brady was not happy after Sunday's loss to the Dolphins. Tom Brady was not happy after New England’s loss to Miami on Sunday. Well, he had one choice word about some of New England’s plays … and that choice word made it onto live TV in his post-game press conference. Check it out below. Warning: You will hear a naughty word, so if you don’t like that stuff don’t press play. His bad word happens at the :37 mark.